If this method is as wonderful as you say, how come I haven’t heard of it? Our culture is mostly stuck in an old paradigm, dating back to Newton, in which if what you do doesn’t work, you add more force. In the LENS and most energy medicines, you try less and our experience has been is that it works better. (But to some people this principle seems counterintuitive and hard to believe). 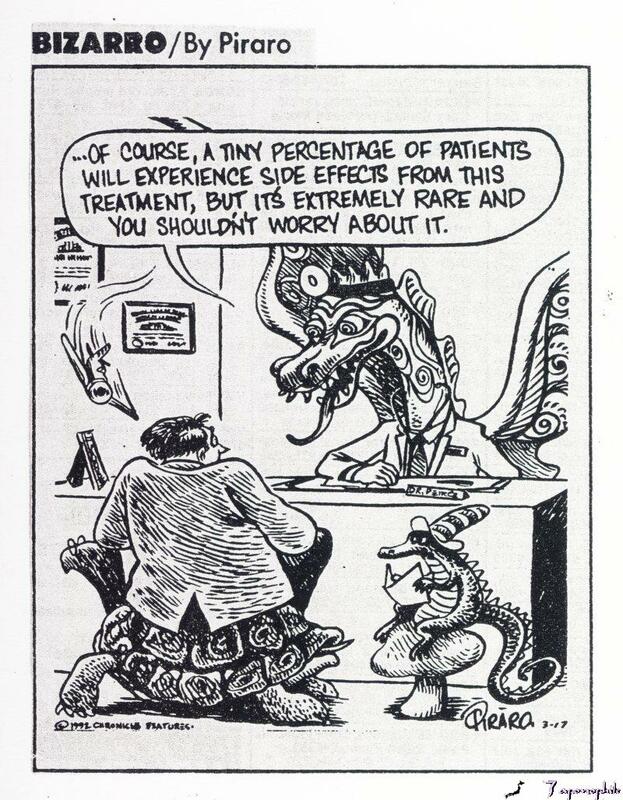 Mainstream medicine and the pharmaceutical industries have persuaded many people that only their medicines work, and that other forms of treatment are “quackery”. And we’ve forgotten how to listen to our own bodies and what they need. How could this method possibly help so many different disorders? We don’t treat disorders, only people. As the person becomes more neurologically balanced, the extreme imbalances we call symptoms dwindle away–or in some cases die a natural death. Over time, to a balanced nervous system, such problems are less likely to get a toehold again. How could it be that one size fits all? Good question, but its based on an illusion. The individuality of our procedure begins the moment that we map a brain with resonant stimulation (and usually at a “positive offset). That is to say, the treatment is exquisitely matched to the dominant frequency of the person’s own unique brainwave. “Johnnie,” if you will, gets a “Johnnie” treatment, and Susie a “Susie” treatment. They will probably also show improvements in an individualistic way. The maps are almost (not quite) as unique as the people whose brains they are made on. Are the effects permanent, or do they fade? We have to hedge our bet by saying “both”. The longer the course of treatment with continual improvements, the more “permanent”. If, however, during an early “honeymoon phase” (a not infrequent thing) the person is so much better that they think they are “fixed” and stop abruptly, sometimes there are regressions, and the old patterns (brain memory, muscle memory, old habits, reassert themselves. However for people who are quite robust underneath, but had a sudden setback, a very few treatments may suffice, and the nervous system and body like the flexible and healthy state better, it can last. Other, more complex cases may need longer courses of treatment, and it may be “a bumpy ride” as Dr. Ochs puts it. The system trying to heal itself goes through oscillations and overcompensations. In some of our best responses to these difficult cases, working closely with the patient’s physician or other health professionals can be very helpful. Exactly what kind of a “bumpy ride” is Ochs talking about? What if I’m on prescription drugs. Can I still do treatment? How can doing a brain map actually be a treatment? When we do brain maps, we try to make it the “least disruptive” experience that gives us actual results (most LENS treatment follows the map). If we suspect that the person is prone to any kind of seizures, an anti-convulsant stim map may be used, if the thinks this is right for the client. However for the most neurologically sensitive patients, this map might be done in several installations, a small treatment taking place each time the map is done. We have no recorded instances of the LENS causing harm to anyone. The energies involved are so miniscule that you are exposed to energy fields thousands of times stronger every day from cell phones, remote phones in your home, or Radio TV and microwave transmission towers. The LENS uses no force, but a more subtle principle called “resonance”. By using energies that are closer to the brain’s own than something like the powerful MRI field, or tMCR stimulus, any reaction is not based on a de-stabilizing “stimulus” but the the brain, CNS and body’s own energies, which grateful at not being bulldozed or shoved (rather whispered-to) begin a process of self-rectification and balancing. We have no indication among professional providers (who talk to each other daily on a list-serve) of any long term “messing up” of anything, rather the reverse. We prefer the term “concurrent improvements.” Nothing alien is put into the body so there cannot be untoward pharmaceutical effects. However it has been noticed that people often fluctuate or improve on dimensions other than a targeted one. Say a person came for anxiety, but their sleep is affected, and their energy (usually improvement, but sometimes ups and downs before a lasting improvement.) Keeping track of five or more “subjective symptoms” (see The LENS and other Treatments), you could incidentally they begin sleeping better, and noticing they have more energy. These things might improve before the anxiety target-symptom changes. You could call these “positive side-effects if you wish. (The SSRS was developed by Larsen, 2003). In the field we prefer the term “overstimulation”. In the beginning, while trying to understand the sensitivity or reactivity of the client we use a treatment that is too strong for them, traditionally they are either “tired” or “wired”. Except in rare cases, these are usually over in a few hours or a day or two at most. Continual overstimulation (by say a naive therapist) can sometimes bring up old symptoms a person has had–in almost any domain, anxiety, depression, insomnia. But a more usual course of chronic overstimulation is just to stop making progress. If the treatment is cut back to a more appropriate level, progress usually resumes. As many as it takes for each unique individual to feel substantially better on most symptoms identified on the SSRS or CNS Questionnaire. Generally after an intake, map and three sessions, a therapist might be willing to make a prognosis (ten sessions might do it, or “this looks like a longer process, twenty minimum and maybe more–are you up for it?”) It is generally better to spread the treatments out more and more and “taper off” rather than stopping abruptly, and our clinical experience has been that the effects last longer. If you use small or very light treatments, aren’t I getting gypped out of my fees for services? A resounding no! You are paying us for our time and our accumulated expertise. Hopefully we are specialists in assessing the level of treatment that might be right for you (but we do have to procede by trial and error sometimes). Very light treatments that might be ineffective or etherial-seeming for others might be just right for you, and help set the only rate at which you can recover functioning and heal. We charge for the time we spend with the client, and the care we put into the treatment, not its size or intensity. Speaking as Stephen Larsen (and his staff) the answer is absolutely, yes! Training with pioneer Steve Fahrion in the 1970’s, I was told “Don’t do anything to your clients you haven’t tried on yourself. It is extremely valuable advice which I have scrupulously taken. Telling the story of my own head injury in The Healing Power of Neurofeedback, my clinicians and other staff members recalled theirs. We all practice during professional trainings on each other, and study our responses carefully. Conducting professional trainings at Stone Mountain is the same. We suggest all clinicians have experience of this treatment on themselves. Many have become practitioners because of an ADD, autistic or anxious child, and we warmly approve of this practice. (In this domain, it may be important, for even experienced (as well as beginning) therapists to have supervision by a licensed senior professional or trainer. What about if you don’t have any serious symptoms, but just want to feel better? This is an area that Stone Mountain has recently made a specialty, Stephen Larsen presenting papers on “optimal performance” and “self-actualization” aspects of the LENS treatments at national conferences. (The same principle has been studied for decades by traditional biofeedback and neurofeedback with important contributions to Olympic-caliber athletes, performing artists or musicians). In general their finding has been that biofeedback helps athletes by aiding relaxation and coordination (avoiding the “yips” in golf, for example.) The LENS has a unique contribution to make to this domain (See Optimal Performance) on this website.